Have you checked this off your bucket list yet? The Rock ‘n’ Roll Marathon and 1/2 Marathon show up in numerous cities throughout the USA. 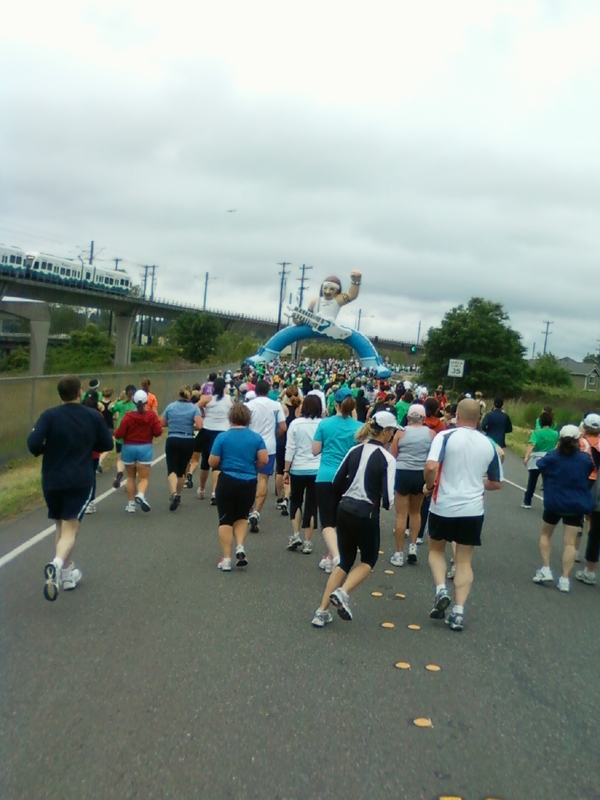 http://runrocknroll.competitor.com/ The Seattle event starts in Tukwila (arrive early as there can be heavy traffic getting to the drop off point) and ends in Seattle at Qwest Field. 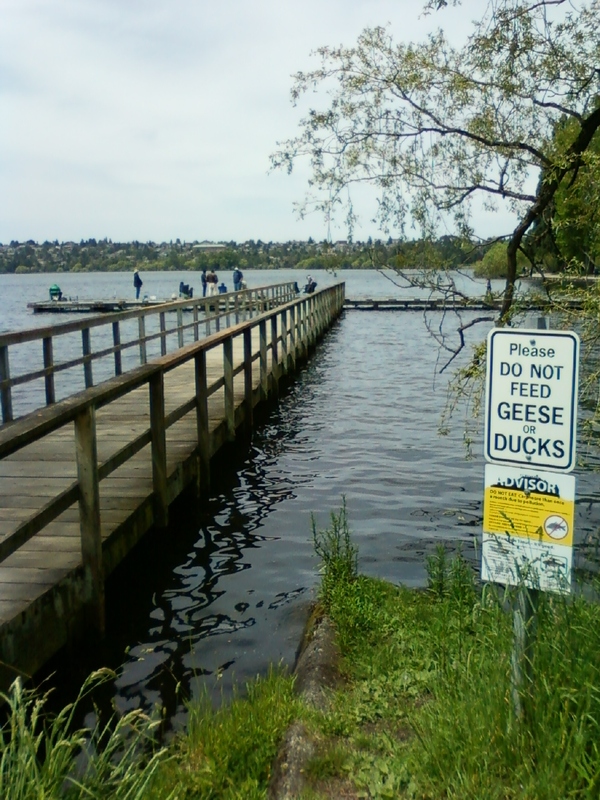 The route runs along the freeways, through neighborhoods, winds through the beautiful Seward Park area with views of Lake Washington and then into downtown Seattle. The weather was great this year as it was overcast yet mild enough that a jacket was not needed. What I found interesting is that many start out with a coverup for the morning (one that they don’t care about) and dump it on the side of the path once they have warmed up. You are assigned a corral based on the expected finish time but of course it is you who controls your finish time. And fun was had…especially as I beat my desired time and made it through the pain in my foot. Training support is available as well as tips to make the most out of the experience. I saw a bit of everything – the dedicated or competitive runner, those that are supporting a charity (as this marathon series benefited the American Cancer Society), or a spunky 82-year-old woman who came in just five or so minutes after I did – amazing!…among others. It is an achievement by any account to complete the 13.1 or 26.2 mile run/walk. The Rock ‘n’ Roll marathon series entertains with different bands (various genres) along the way. And there is a post race concert open to the participants and the public alike – Tonic headlined for 2010. See the Entertainment page for the 20+ http://seattle.competitor.com/entertainment/bands/. Water and a sports drink are available at many spots along the route as well. Support was shown from Cheerleaders from different area schools, neighbors that cheered us on from their front lawn, friends and family that came out, and the volunteers were of much support. Look out for Elvis along the route too! And what I had not expected, a medal was given for all those who finished the race…very cool! Next year’s event will take place on June 25, 2011. Sign up early as it sells out by March. I heart Rock! The Ram – Kent, WA and have visited University Village and Northgate locations (Seattle) as well. There are locations in four other states. http://www.theram.com/ The Kent location is located at Kent Station http://www.kentstation.com/ which includes a movie theater and shopping…so whether you make it your only reason for visiting or a stop before or after your outing…it makes your time there a good one. We happened to see Iron Man 2 beforehand – and it gets a thumbs-up! The RAM is a good place to view a sporting event, offers good quality food and a nice menu selection. A favorite and common selection is Buttface Amber beer and Bacon Chedder burger. The French Dip is also a good choice. Ooohh…and we can’t forget the Bloody Mary, especially for game day (morning). Join their MVP club for updates and promotions via email. The Ram UPDATE 1/16/11 – Northgate location. During this time of year, The Ram opens at 9 am for NFL playoffs and serves a breakfast menu. We were there bright and early for the festivities; unfortunately the Seattle Seahawks lost to the Chicago Bears…two games away from the Superbowl. This description was taken straight from the menu.. THE FABURGE, a masterpiece of burger d’art, named after the famed “Faburge” egg…features breakfast, lunch and dinner in every bite. Seasoned burger patty, topped with Wisconsin cheddar, sliced country ham, hickory smoked bacon, fried egg, fried onion crisps and mayonnaise 11.99 (note: I did not have this selection but the comment was that it is GOOD…with enthusiasm :)). Also, the Nachos Deluxe (beef) was served as well as the Full Blitz Skillet. On this day, The Ram made a special Bloody Mary that came with a skewer of olives, onions, cheese, celery, and cherry tomatoes…and a snit of Blonde ale. Joey Restaurant (two times this month) – locations in Canada and three in Washington State. Suggestions include the BLT Wedge Salad (although I typically ask for it to be chopped), Joey Signature Fries, Cheesburger Sliders, and all else that has been tried http://joeyrestaurants.com/. This is a good meeting place and you can typically find this a big hangout for the male persuasion…the women servers wearing black. UPDATE 3/2011 – I wish I had ordered the burger or sliders on this date…. there were four of us and the partial winner was the Evil Chicken Chopped Salad. From the Puget Sound area…off we go to Methow Valley via I-90/Snoqualmie and Blewett Pass. As you head east, break off at Cle Elum if you need gas, grocery or a quick bite before heading over the pass on 970 East to Hwy 97. Jct 2 is approximately 42 miles from East 970. I love the Teanaway area – barns, buffalo, a river off to the right, snow-capped mountains in a distance off to the left. This area is known for its snowmobiling during winter. One day I will go down Teanaway Rd to explore… I typically drive on by to get where I’m going. Along Blewett Pass you will find the Liberty Cafe and Mineral Springs resort. Multiple camping options can be found – Swauk and Mineral Springs camp grounds. I camped along USFS 9738 ten years ago. Fruit stands and orchards lead you to Hwy 2. Taking a left at Hwy 2 will take you to Leavenworth and Stevens Pass but you will need to take a right to head to Eastern Washington. Once on Hwy 2, you will head east come across Cashmere before you hit the more populated Wenatchee. Hungry for a bite to keep you going? Anjou Bakery is located in the heart of the Wenatchee Valley along Hwy 2 as you head out of Cashmere. With a variety of baked goods, artisan breads, light lunch fare, or an espresso…it may be just what you need. http://www.anjoubakery.com/. Open Thursday – Monday 7am – 5 pm. Hwy 97 guides you along many orchards and fruit stands – and we should take note, as Washington State is known for their apples. You can also take Alt 97 which takes you through Chelan (again, another future post). The Hwy 97 route showcases wheat colored, rock clustered hills that sweep along the Columbia River. You will pass Daroga State Park and Beebe Bridge Park along this route. Someday I would like to camp at Beebe Bridge Park as it is nicely manicured and located right on the Columbia River. At Beebe Bridge, keep right on Hwy 97. If heading to Lake Chelan, take the left (or you can pick up Alt 97 just down the road). Turn left at Hwy 153 at Pateros. BUT, if you need gas or a bite to eat, cross the bridge and you will find it in Pateros, WA http://www.pateros.com/ Check out this site for area information (I noticed a new hotel, Pateros Lakeshore Inn, but have not stayed there). Pateros is a popular spot for waterskiing. In the mood for delicious bread, sandwiches or pizza? Try the Sweet River Bakery http://www.sweetriverbakery.com/ Stop by for wine tasting and live music too! Back to Hwy 153, you will pass Alta State Park, travel through Methow, Carlton, Twisp, Winthrop and Mazama. You will see at some point that Hwy 153 turns into SR 20… which will take you through the North Cascades. http://www.methownet.com/ is a well-rounded stop for information on the Methow Valley. Whether it be cross-country skiing, downhill skiing at Loup Loup, snowmobiling, hiking, camping, or fly fishing…the Methow Valley has many recreational options to entice you. This particular trip, we stopped at the Winthrop Wine Festival…but other trips have included camping, hiking, cross-country skiing, snowshoeing to visit Falls Creek Falls and taking drives…including a number of visits to Black Pine Lake (beware that there are narrow gravel roads once you start your climb). Twisp, WA – Twisp http://twispinfo.com/ is located in the heart of the Methow Valley. Twisp is an outlet and showcase for local artists. The Methow Valley Farmers Market and Community Center is located on Hwy 20 and the Farmers Market runs every Saturday during the summer from 9 am – noon. The local artisans sell their crafts… whether it be jewelry, pottery, tomato plants or bakery goods. See a play at the Merc Playhouse or visit the Confluence Gallery http://www.confluencegallery.com/ to view the latest exhibit. Recommendations for dining (that have been tried) are the Twisp River Pub and the Cinnamon Twisp Bakery. At the Twisp River Pub, a great food selection can be had… such as Garlic Pot as an appetizer, Buffalo burger (with blue cheese), Cobb Salad or Thai Peanut Noodles. Check out the remainder at http://www.methowbrewing.com/. A good mix of clientele can be seen…even a wedding party was having their celebration out on the deck. Live music every weekend. Free wireless internet. Fresh brews (as it is made on-site) and other specialty drinks…I particularly liked the Red Snapper. You must not miss the Cinnamon Twisp at the Cinnamon Twisp Bakery – YUM! http://www.cinnamontwisp.com/ I also like their bagel sandwiches. Long lines can form here for a fresh breakfast/lunch item (open 6 am – 3 pm on most days) or your favorite coffee/espresso drink. This is a gathering place (and a free Wi-Fi spot) for locals and visitors alike. I understand that Tappi, an authentic italian restaurant, has received good reviews – I would like to try this in the future (the hours of operation are flexible). Take-out has been had at Hometown Pizza as well. Winthrop, WA– http://www.winthropwashington.com/ Winthrop, a vacation destination with a western flair, has a nice mix of shopping and eateries. Aspen Grove offers nice housewares and Tag products (which I really like). http://www.aspengrovehome.com/ Stop by the Visitors Center for area information including maps and brochures. Say Hi to the nice person manning the VC and be sure to sign the guest book! If visiting in June, schedule your trip to spend an afternoon in Winthrop Park at the Winthrop Wine Festival http://www.winthropwine.com/. Before you go, check to see how many Washington wineries are scheduled to attend as you will purchase tickets for tasting, jazz and light snacks. This event benefits the Winthrop Chamber of Commerce. Check out other annual Winthrop events at www.winthropwashington.com. Dining in Withrop – Carlos 1800 Mexican Grill and Cantina- what a fun joint! http://carlos1800.com/default.aspx I was really excited to find this treasure. You are greeted with a Hi or a Welcome! immediately by whichever employee is near the door. And it doesn’t stop there – so impressed with the service. Enjoyed the chips, salsa and margaritas. Entertainment is provided select evenings and Carlos 1800 offers free Wi-Fi. We were then off to the Arrowleaf Bistro. Wow! http://www.arrowleafbistro.com/ Now this is fine dining in the Methow Valley! Great food and great wine… fresh, local, organic inspired. Dawn and the staff provided great service. Nice portions with great flavor…oohh especially the mashers that came with the fabulous Bison Meatloaf. Another favorite was the Ellensburg Lamb Porterhouse. All I can say…Wow! Highly recommended. I have tried other establishments in the past but will review those if I go back. 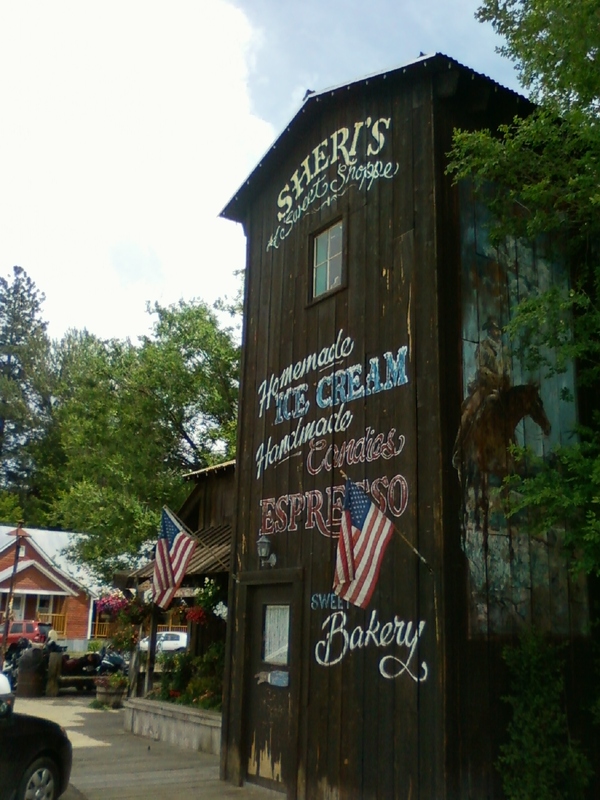 A tradition when visiting here is to stop for a generous portion (and selection) of ice cream at Sheri’s Sweet Shoppe. Lodging options in the Methow Valley area is vast. Again, check out www.methownet.com or www.winthropwashington.com for more info. This trip we stayed with a friend, but lodging has been had at Hotel Rio Vista http://www.hotelriovista.com/ and Methow Valley Inn http://www.methowvalleyinn.com/. In the future, I would like to try the recommended Sun Mountain Lodge (approximately 8 miles from SR 20) and the Rivers Edge Resort. Sun Mountain Lodge will be covered in a future post. Located on the “Eastside”, the Sammamish River Trail makes I-5 in Seattle look like a country road – just kidding… as we came upon an accident between two bicyclists. 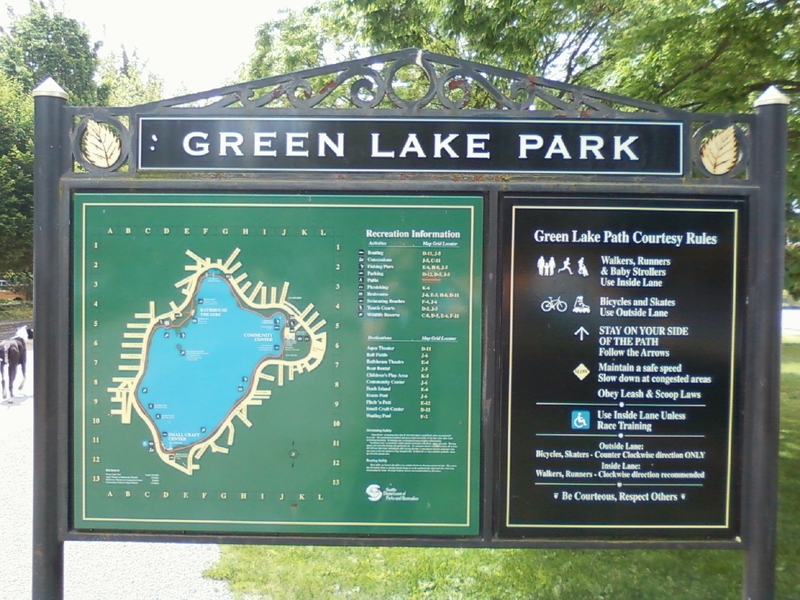 This trail is enjoyed by cyclists, runners, walkers, commuters, rollerbladers, dog walkers, and families out for a day together. 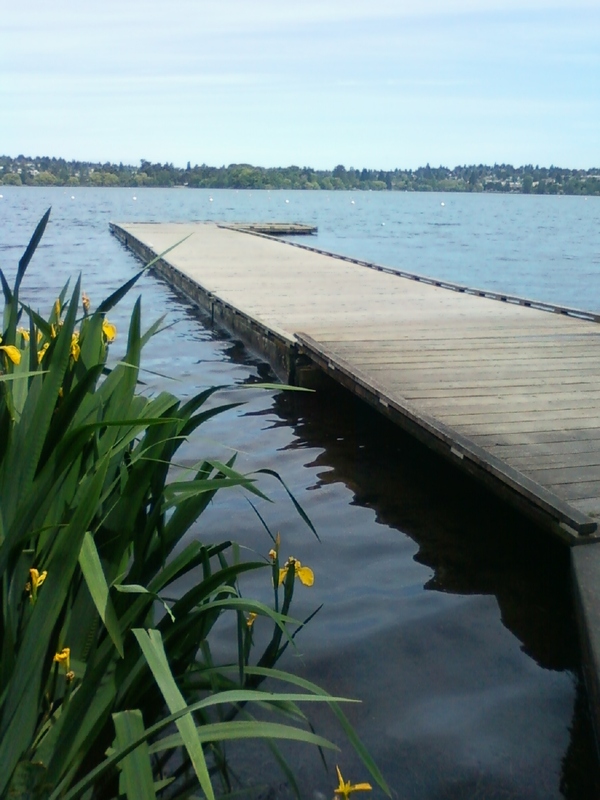 It runs from Marymoor Park in Redmond along the Sammamish River into Bothell, and then picks up the Burke Gilman Trail which extends all the way to Seattle. A friend and I are preparing for a half marathon and wanted to get some walk time in…so, 7.5 miles were walked with a stop at the Redhook Brewery afterwards for a fill up. I was so focused on my walking that I forgot to take a picture. 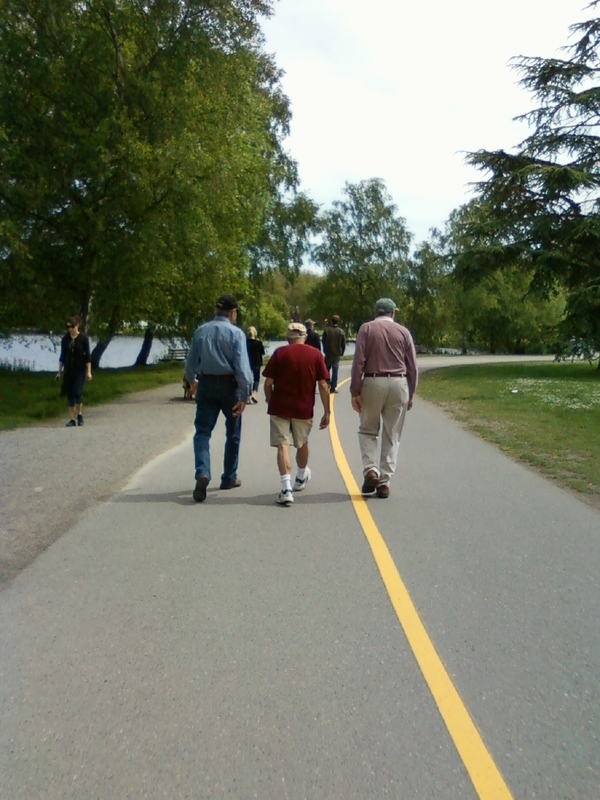 There is much to do around the Sammamish River Trail…it is close to shopping, parks, wine tasting in Woodinville, as well as cultural activities. Redhook Brewery and Forecaster’s Pub – http://www.redhook.com/Default.aspx?p=41 Forecaster’s Pub is open daily and has a variety of brews on tap and a pub-style menu that will surely please…whether you choose the bratwurst, a sandwich, nachos, burger, or other (hint: warm the bun). An outdoor patio (when the weather allows) makes this an essential summer stop. Minors are welcome anytime except for after 9 pm on Fridays and Saturdays when the patrons are entertained by live music (which I have heard is a bit too loud). The brewery is known for a tasty and informative tour – 1 hour for $1. On select Thursday evenings during the summer, cop a squat under the stars and enjoy a flick at the outdoor Moonlight cinema. The movie starts at dusk. I hesitate on writing about this day trip as it was Memorial Day and many of the stores and restaurants were closed. But seeing that it was the day after the Fairhaven Festival http://fairhaven.com/ and is also the finish line for the famous Ski to Sea race http://www.skitosea.com/, I thought it appropriate to give it a mention. In fact, there was still “great race yesterday!” comments on the streets. 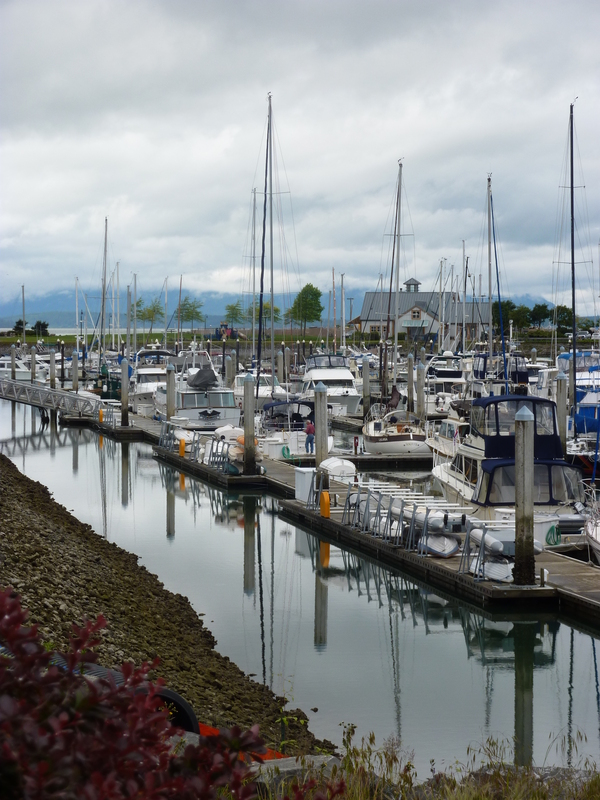 Bellingham offers beautiful views of Bellingham Bay. There is the Port of Bellingham and Cruise Terminal, the summer presents outdoor concerts and movies and a farmers market; and the area has various art and history recommendations…maybe a trip to the Whatcom Museum of History & Art, the Railway Museum or American Museum of Radio and Electricity – now that should give you a jolt!. A variety of day trips abound – whale watching, fishing, Mt Baker Ski Area http://www.mtbaker.us/, Birch Bay, Chuckanut Drive http://chuckanutdrive.com/, British Columbia- Canada, the San Juan Islands, Semiahmoo Resort, and Skagit Valley Casino Resort.